1123. 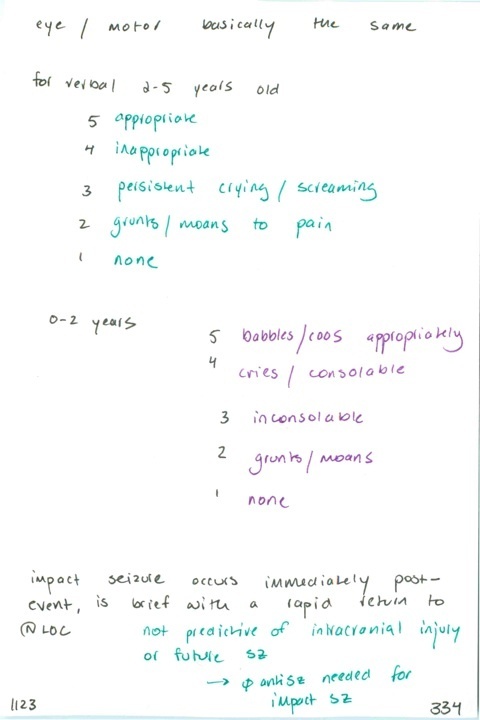 GCS modification for pediatrics // What is an impact seizure? What is its significance?